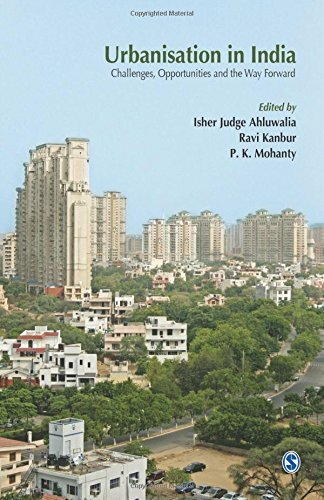 9788132117759 | Sage Pubns Pvt Ltd, February 14, 2014, cover price $65.00 | About this edition: Urban areas are integral to India s growth and development, accounting for around two-thirds of the country s GDP. This highly topical volume, with contributions from leading experts in the field, explores a variety of questions about membership based organizations of the poor. Analyzing their success and failure and the internal and external factors that play a part, it uses studies from both developed and developing countries. Put together by a group of prestigious editors, the contributors address a range of questions, including: What structures and activities characterize MBOPs? What is meant by success and what factors account for success? What are the internal (governance structure and leadership) and external (policy environment) factors that account for success? Are these factors replicable across countries or even within countries? What are the constraints to successful MBOPs expanding, or to new ones being formed? What sort of policy environment enables the success of MBOPs and the formation of successful MBOPs? What types of institutional reforms are needed to ensure the representation of the poor through their own MBOs? 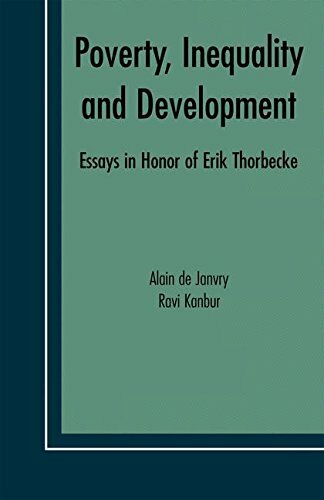 This is an insightful work, that will be invaluable for students and researchers studying or working in the areas of international and development economics and development studies. 9780415770736 | Routledge, June 10, 2007, cover price $160.00 | About this edition: This highly topical volume, with contributions from leading experts in the field, explores a variety of questions about membership based organizations of the poor. 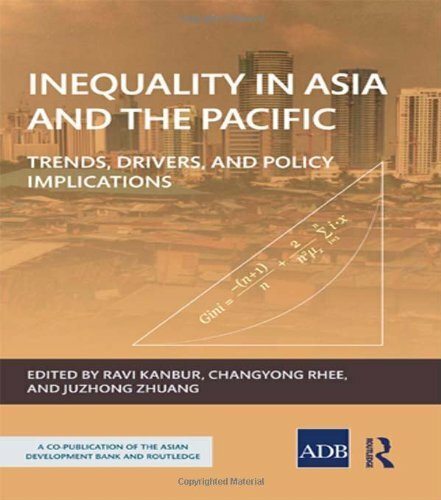 9780415828659 | Routledge, February 20, 2014, cover price $170.00 | About this edition: Asia’s rapid economic growth has led to a significant reduction in extreme poverty, but accompanied by rising inequality. 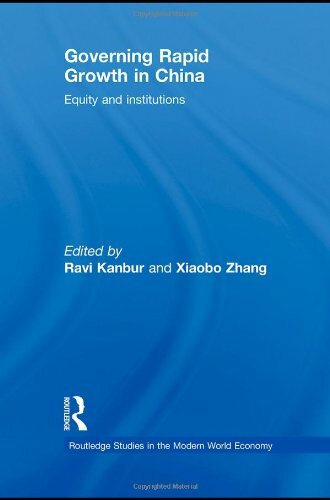 9780415775885 | 1 edition (Routledge, May 11, 2009), cover price $155.00 | About this edition: Chinaâs spectacular growth and poverty reduction has been accompanied by growing inequality which threatens the social compact and thus the political basis for economic growth. 9780415743556 | Routledge, November 8, 2013, cover price $54.95 | About this edition: Chinaâs spectacular growth and poverty reduction has been accompanied by growing inequality which threatens the social compact and thus the political basis for economic growth. 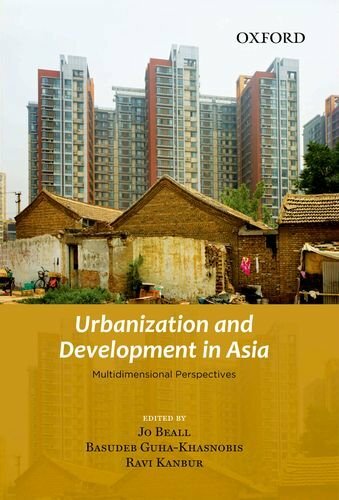 9780198078531 | Oxford Univ Pr, September 23, 2012, cover price $55.00 | About this edition: Over the last few decades, globalization has had a visible effect on urbanization and migration patterns across much of Asia. 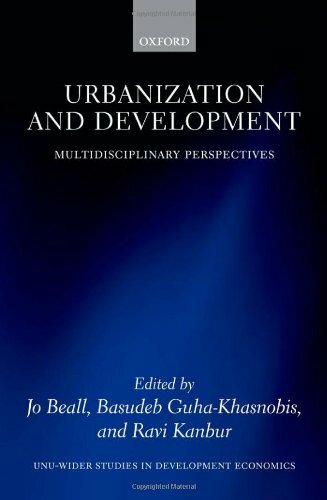 9780199590148 | Oxford Univ Pr, December 3, 2010, cover price $115.00 | About this edition: By many estimates, the world has recently crossed the point where more than half the global population is urban, a trend driven by rapid urbanization in developing countries. 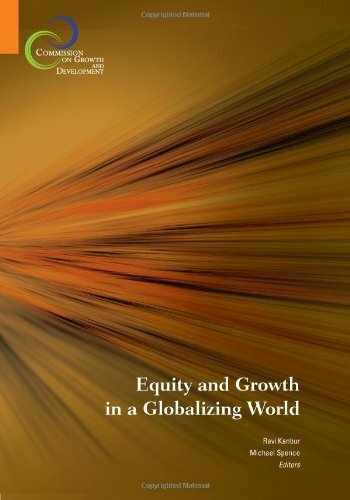 9780821381809 | World Bank, May 18, 2010, cover price $35.00 | About this edition: â¢ What has been the evolution of poverty and equity during the recent globalizing decades? 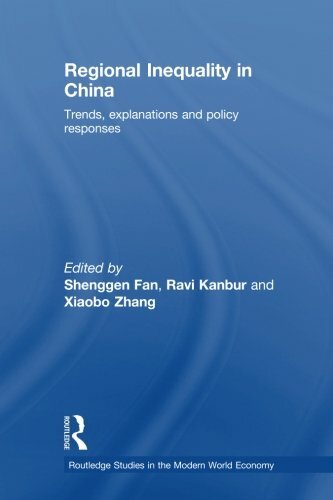 9780415775878 | 1 edition (Routledge, June 5, 2009), cover price $170.00 | About this edition: After three decades of spectacular economic growth in China, the problem is no longer how to achieve growth, but how to manage its consequences and how to sustain it. 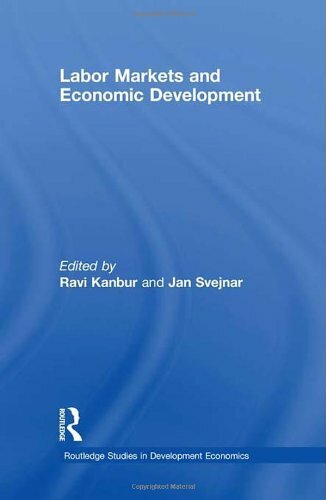 9780415777414 | 1 edition (Routledge, June 9, 2009), cover price $200.00 | About this edition: As developing and transition economies enter the next phase of reforms, labor market issues increasingly come to the fore. 9780199239993 | Slp edition (Oxford Univ Pr on Demand, February 4, 2009), cover price $235.00 | About this edition: Amartya Sen has made deep and lasting contributions to the academic disciplines of economics, philosophy, and the social sciences more broadly. This collection of essays provides a state-of-the-art examination of the concepts and methods that can be used to understand poverty dynamics. It does this from an interdisciplinary perspective and includes the work of anthropologists, economists, sociologists, and political scientists. The contributions included highlight the need to conceptualise poverty from a multidimensional perspective and promote Q-Squared research approaches, or those that combine quantitative and qualitative research. The first part of the book provides a review of the research on poverty dynamics in developing countries. Part Two focuses on poverty measurement and assessment, and discusses the most recent work of world-leading poverty analysts. The third part focuses on frameworks for understanding poverty analysis that avoid measurement and instead utilize approaches based on social relations and structural analysis. 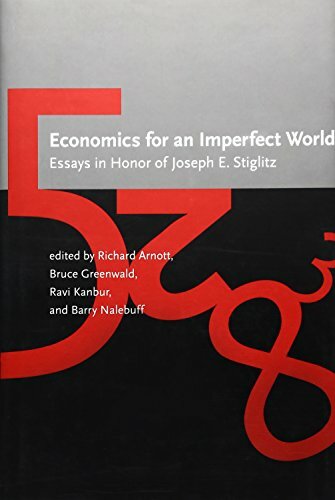 There is widespread consensus that poverty analysis should focus on poverty dynamics and this book shows how this idea can practically be taken forward. 9780199557547 | Oxford Univ Pr on Demand, March 25, 2009, cover price $160.00 | About this edition: This collection of essays provides a state-of-the-art examination of the concepts and methods that can be used to understand poverty dynamics. 9780199239979 | Oxford Univ Pr on Demand, December 18, 2008, cover price $140.00 | About this edition: Amartya Sen has made deep and lasting contributions to the academic disciplines of economics, philosophy, and the social sciences more broadly. 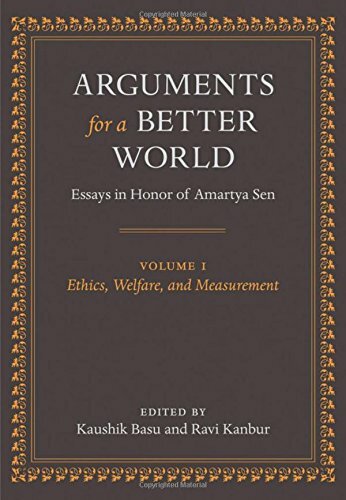 9780199239115 | Oxford Univ Pr on Demand, March 4, 2009, cover price $140.00 | About this edition: Amartya Sen has made deep and lasting contributions to the academic disciplines of economics, philosophy, and the social sciences more broadly. 9781847010032, titled "The Economy of Ghana: Analytical Perspectives on Stability, Growth & Poverty" | James Currey Ltd, November 20, 2008, cover price $90.00 | About this edition: As Ghana enters its second half-century there is a widespread perception of failure of the economic and political system in delivering improved living standards to the population. 9780199204762 | Oxford Univ Pr on Demand, November 23, 2006, cover price $140.00 | About this edition: more nolume brings together a significant new collection of studies on formality and informality in developing countries. 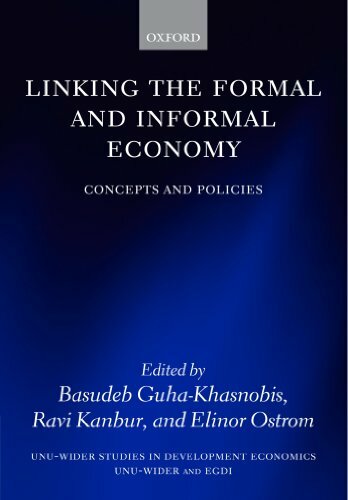 9780199237296 | Oxford Univ Pr on Demand, November 11, 2007, cover price $53.00 | About this edition: The concepts of formal and informal remain central to the theory and practice of development more than half a century after they were introduced into the debate. 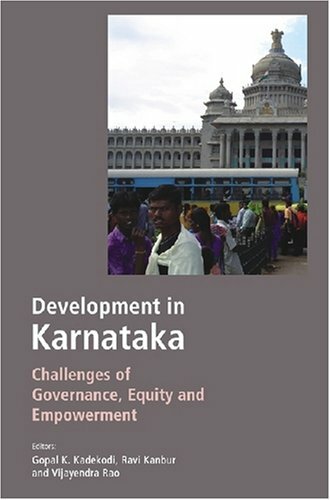 9788171886197 | Academic Foundation, May 30, 2008, cover price $59.95 | About this edition: Bringing together contributions from leading scholars, this volume examines the singularly innovative strategy that has been dubbed the ÂKarnataka Modelâ of developmentÂone fueled by technological growth and local government reform. 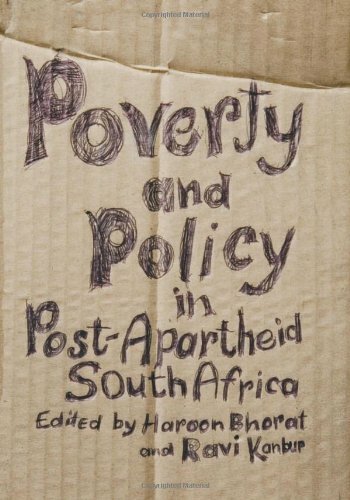 9780796921222 | Human Sciences Research Council, April 1, 2007, cover price $39.95 | About this edition: This authoritative volume explores poverty and labor market issues over the first decade of democracy in South Africa. 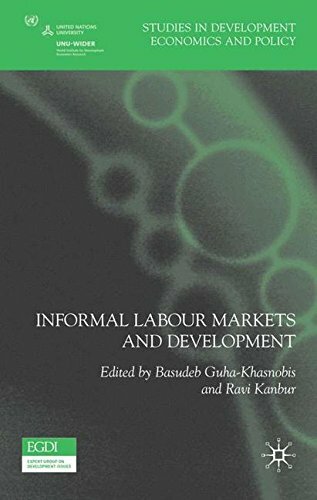 9781403987556 | Palgrave Macmillan, September 5, 2006, cover price $130.00 | About this edition: This book presents significant new research on the informal labour markets of developing countries. 9789280811223 | United Nations Univ, February 28, 2006, cover price $35.00 | About this edition: This book focuses on issues of poverty and inequality that are directly related to the Millennium Development Goals. This volume brings together leading public intellectualsâAmartya Sen, Martha C. Nussbaum, FranÃ§ois Bourguignon, William J. Wilson, Douglas S. Massey, and Martha A. Finemanâto take stock of current analytic understandings of poverty and inequality. Contemporary research on inequality has largely relied on conceptual advances several decades old, even though the basic structure of global inequality is changing in fundamental ways. The reliance on conventional poverty indices, rights-based approaches to poverty reduction, and traditional modeling of social mobility has left scholars and policymakers poorly equipped to address modern challenges. The contributors show how contemporary poverty is forged in neighborhoods, argue that discrimination in housing markets is a profound source of poverty, suggest that gender inequalities in the family and in the social evaluation of the caretaking role remain a hidden dimension of inequality, and develop the argument that contemporary inequality is best understood as an inequality in fundamental human capabilities. This book demonstrates in manifold ways how contemporary scholarship and policy must be recast to make sense of new and emerging forms of poverty and social exclusion. 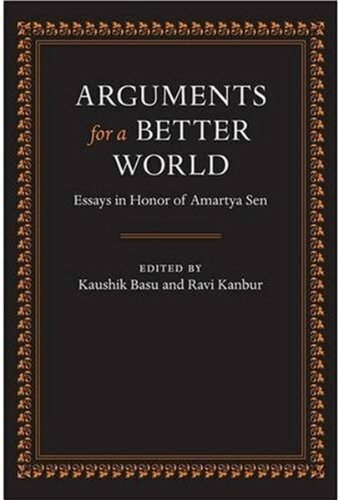 9780804748421 | Stanford Univ Pr, January 24, 2006, cover price $60.00 | About this edition: This volume brings together leading public intellectualsâAmartya Sen, Martha C.
9781402078507 | Kluwer Academic Pub, December 30, 2005, cover price $239.00 | About this edition: This collection of essays honors a remarkable man and his work. 'This is an introduction to spatial and regional inequality. 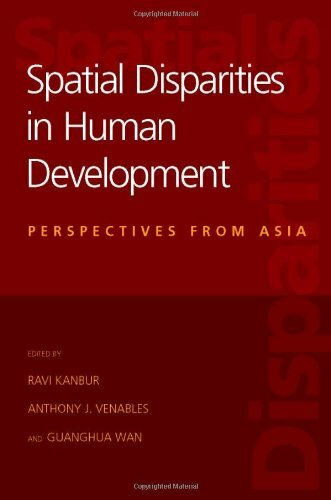 Drawing on data from 25 countries from around the world, it examines the questions: What exactly is spatial inequality? Why does it matter? And what should be the policy response to it?' --Provided by publisher. 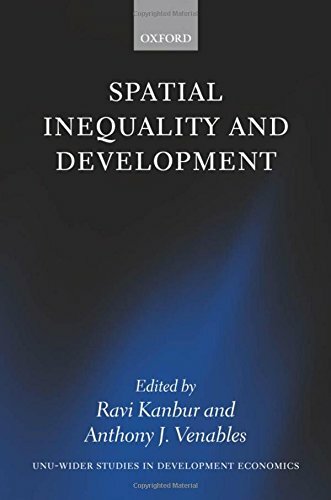 9780199278633 | Oxford Univ Pr on Demand, April 7, 2005, cover price $165.00 | About this edition: 'This is an introduction to spatial and regional inequality.